If you want your tapenade to be chunky, blend only until all ingredients are chopped evenly. If you prefer a smooth paste, blend longer. 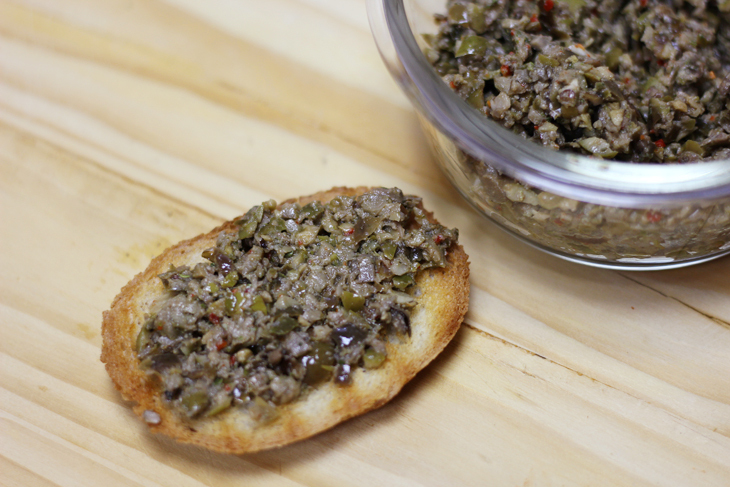 We usually serve Tapenade as a dip or spread. We also knead a batch of Tapenade with dough and make crackers.